Unbelievable Testing Laboratory creates technology driven footwear that pushes the boundaries of style and function by bringing together seemingly unrelated combinations of technology, innovation and ingenuity. 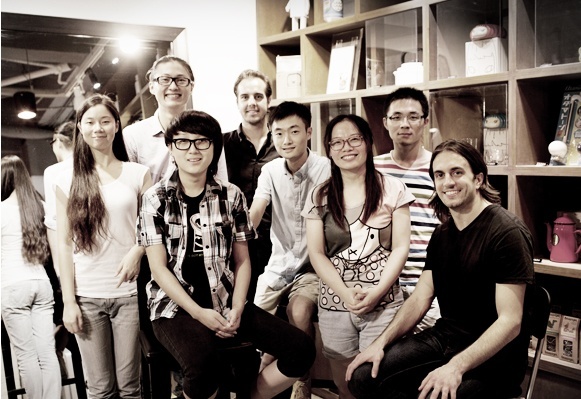 The Las Vegas and Shanghai based Unbelievable Testing Laboratory made a splash in August 2013 when the team lead the most successful footwear Kickstarter to date, raising 947% of its funding goal. THE UT.LAB is a tech-driven footwear company that advocates for improvements in the STEM (Science, Technology, Engineering, Mathematics) curriculum. 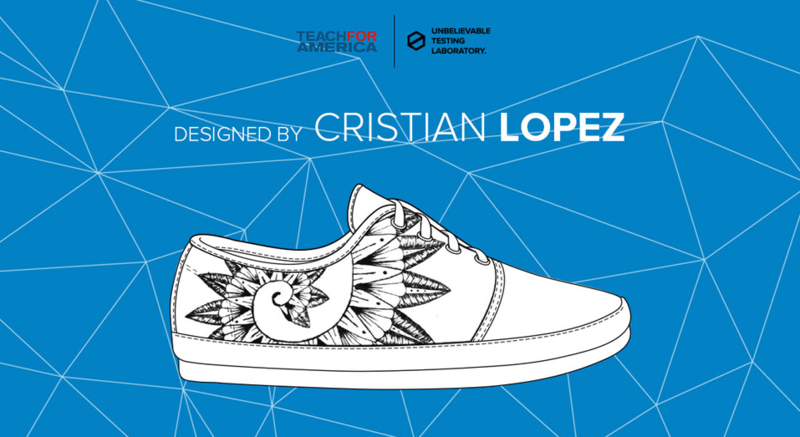 Using their cutting-edge footwear as a canvas for students, THE UT.LAB partnered with Teach for America in Las Vegas on a student design contest to find the next science-themed pattern for their shoes. He says THE UT.LAB’s Student Design Contest is just one of the ways their team is trying to reach that social goal. “We are particularly excited about the contest because it is a way to directly show students how design can have an immediate impact on an individual’s day-to-day life, and a lasting impact on the future,” added co-founder Shaun Nath. “Footwear has become so prominent in youth culture. I feel like the contest gives the next generation a practical example of how technology and design are important in things they are already excited about,” said Jay Legaspi, Brand Director for THE UT.LAB. “To me it feels like a way to give this generation a behind-the-scenes look to a world they love (footwear), and an immediate challenge to do something to push that world forward. Cristian Lopez was crowned the winner of THE UT.LAB’s first Student Design Contest. Jay Legaspi said the winning design was inspired by the Fibonacci Spiral, which is a beautiful pattern and a naturally occurring phenomenon. To honor Cristian Lopez’s design, THE UT.LAB has teamed up with Indiegogo to launch LABWORKS, a crowdfunding campaign to bring Cristian’s design to life and give back to Teach for America. “LABWORKS is the name of the campaign that we are running through the crowdfunding platform Indiegogo to bring Cristian’s vision to life,” Joseph Constanty explained. All post-production profits will be donated to Teach for America for recruitment, training and ongoing support for the 2015-2016 teachers in high-need schools. “This will ensure that more quality teachers like Ryon Tanara can be placed at in-need schools in the Las Vegas area,” said Joseph Constanty. Join Indiegogo, THE UT.LAB, and Teach for America to celebrate the launch of LABWORKS, powered by Indiegogo. Get more information on this campaign by following @THEUTLAB on Twitter.